The Red Dot Art Spree means red-hot buys of original works of art at $750 or less and a night of creative fun at Women & Their Work. Proceeds from Red Dot support our extensive arts education programs and year-round exhibitions, performances and other events that we offer free to the Austin community. 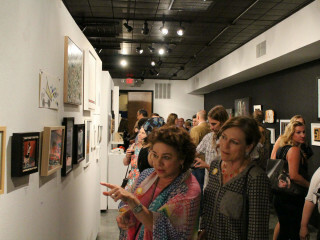 Following the opening reception, the exhibition will run until September 21.